TSPSC Recruitment 2017 @ www.tspsc.gov.in: Telangana State Public Service Commission TSPSC Recruitment 2017 Job alert, both fresher and experienced can get TSPSC recruitment 2017 notification on recent recruitment 2017 openings across India. 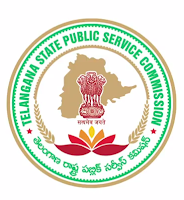 This is an exclusive page updated on 14.10.2017 for the latest recruitment notification from Telangana State Public Service Commission TSPSC 2017 it contains both active and recently expired Job openings and recruitment notification from TSPSC 2017. TSPSC Recruitment 2017-18: Apply Online for 851 Agriculture Extension Officer Grade II Vacancies in TSPSC recruitment 2017 in Hyderabad|Secunderabad. New recruitment Jobs 2017 notification published for the post Child Development Project Officer in TSPSC recruitment 2017 read complete details before applying. 274 Vacancies in TSPSC for the post-Assistant Professor. TSPSC Selection Process : Selection will be based on Written Test (Objective Type) & Interview. How to Apply TSPSC Vacancy : Interested candidates may apply Online through the website www.tspsc.gov.in from 13.10.2017 to 31.10.2017. Before applying for the posts, candidates shall register themselves as per the One Time Registration (OTR) through the Official Website of TSPSC. How to Apply TSPSC Vacancy : Interested candidates may apply Online through the website www.tspsc.gov.in from 18.09.2017 to 16.10.2017. Before applying for the posts, candidates shall register themselves as per the One Time Registration (OTR) through the Official Website of TSPSC. Educational Qualification : Candidates Must possess MS/MD/DM/M.Ch in relevant discipline or MBBS with M.Sc/D.Sc in relevant discipline or M.Sc with Ph.D in relevant discipline or Master Degree in relevant discipline and recognized by Dental Council of India. How to Apply TSPSC Vacancy : Interested candidates may apply Online through the website www.tspsc.gov.in from 16.09.2017 to 25.10.2017. Before applying for the posts, candidates shall register themselves as per the One Time Registration (OTR) through the Official Website of TSPSC.